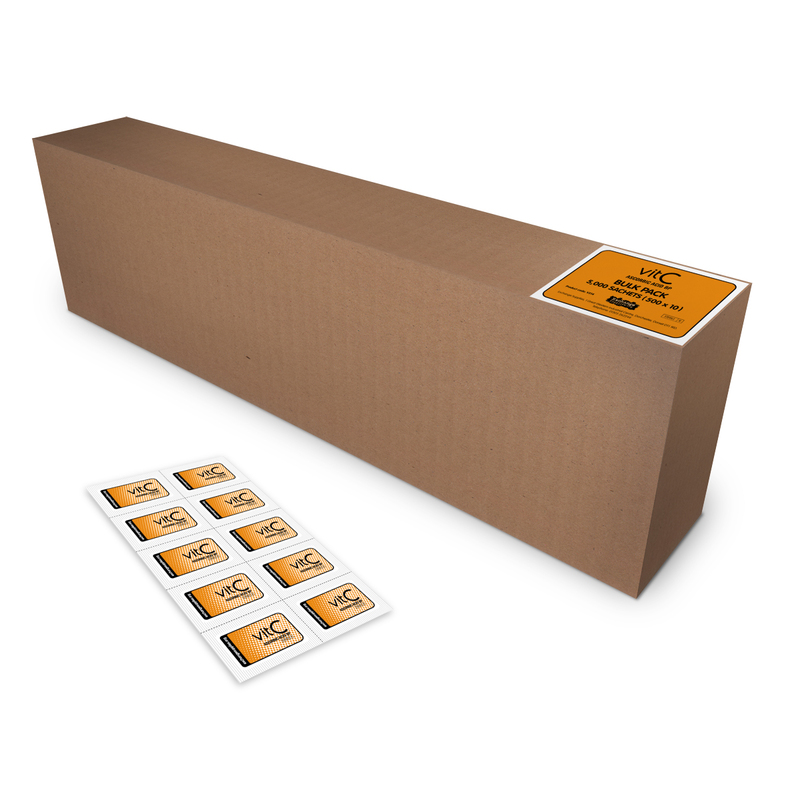 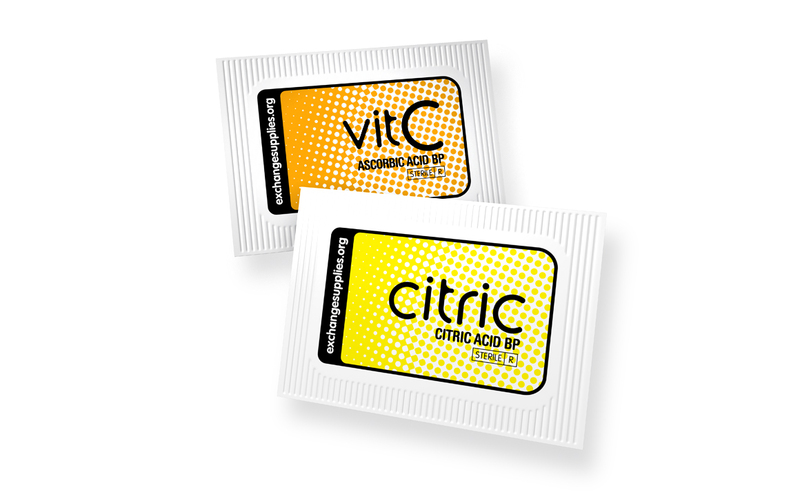 We sell sterile Citric and VitC sachets for injecting drug users to reduce the risks involved in preparing heroin and crack cocaine for injection. 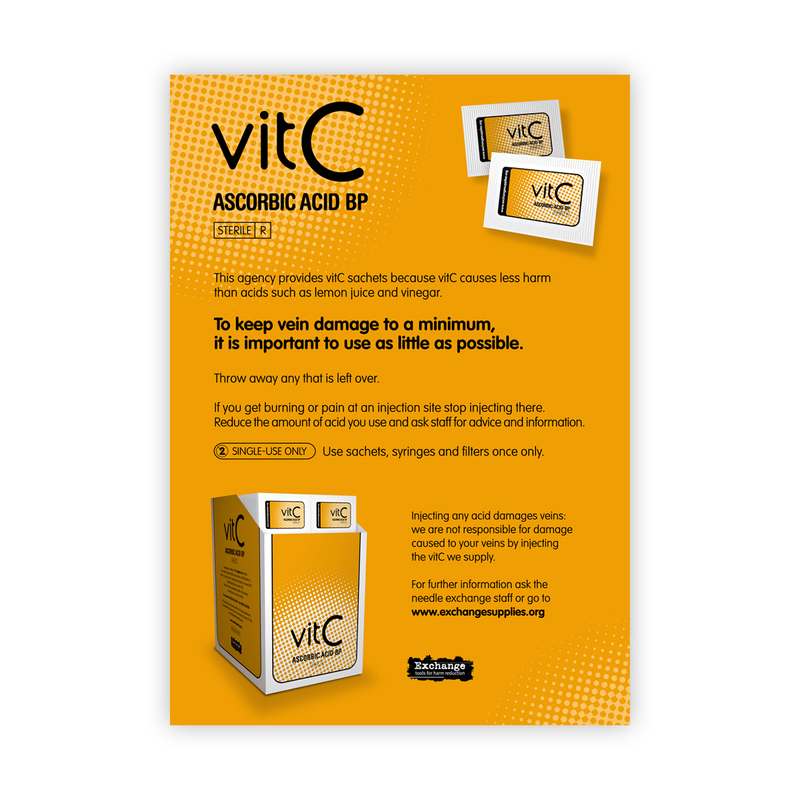 Our sachets of citric acid and vitC are manufactured in the UK, to pharmaceutical industry manufacturing standards, and are guaranteed sterile. 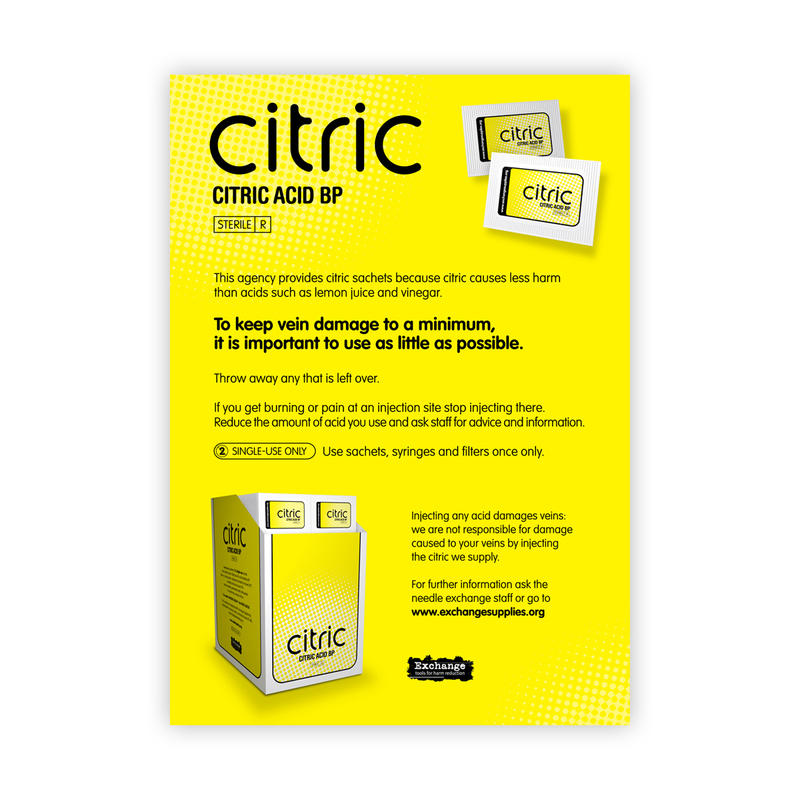 We were the first citric and vitC manufacturer, and are still the only one to also produce supporting materials, including a DVD explaining how citric acid (and vitC) work in the solution to dissolve heroin. 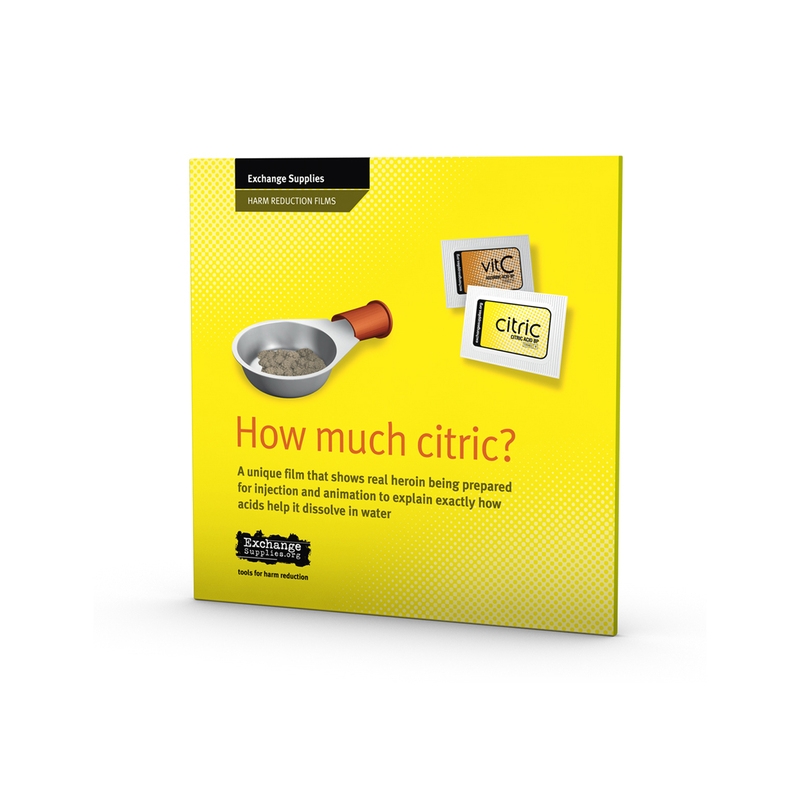 To view the 'how much citric?' film, click here.